I love love love OPI's collaborations - have you read my recent review on the Gwen Stefani collaboration? check it out here -- and then there was this collaboration! The Coca-cola one! 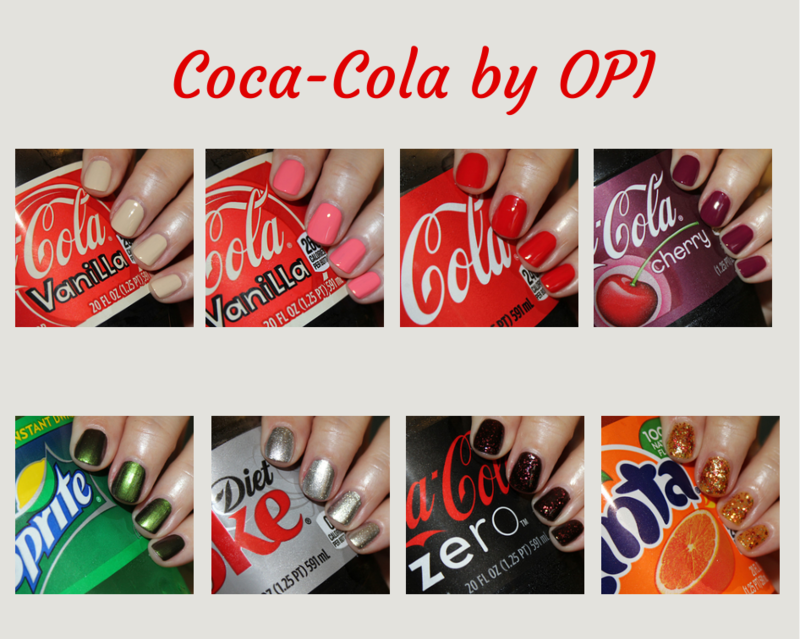 These colors are inspired by the different drink from CC company (Coke Zero, Cherry Coke..etc.) but I've picked my favorite three to swatch below! Let me know what you think? Which one would you choose?